Bideford Black: The Next Generation Exhibition: Dirt & diamonds, scents & sounds…….the Bideford Black Next Generation exhibition offers a fresh perspective on this enduring material. These artists have created distinctive new works for future generations to enjoy. This exhibition at the Burton gallery provides a surprising take on a traditional material. Eleven artists and a film-maker have created new artworks using this unique black coal - and some of the works will join the gallery’s permanent collection for future generations to explore, giving a glimpse into art of today. There are many exciting things happening in our museums these days and new contemporary art is one of them. Museums not only look after the wonderful things from the past – they are looking to the future too. Heritage isn’t ever just about things that have already happened – it is also about things that happen now too. Valued for its silky texture and pitch black hue, Bideford Black pigment has historically been used by artists, industries and the military. In next month’s exhibition, a new generation of artists and users ask questions about past and present uses of this dark resource. 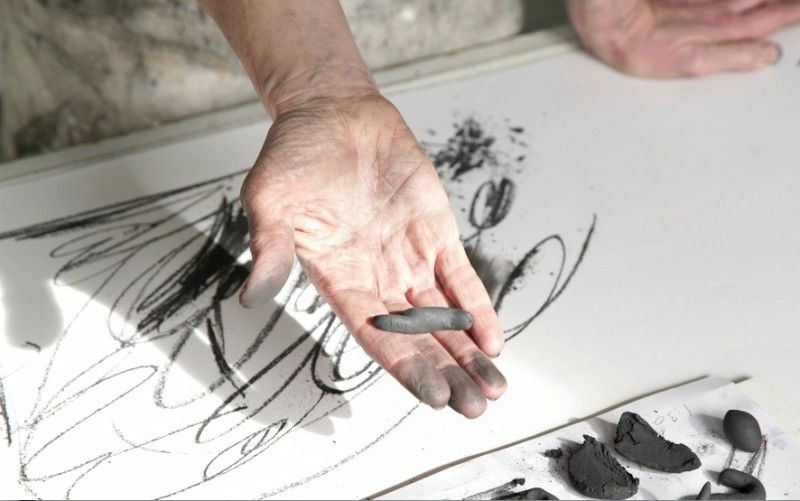 Bideford Black: The Next Generation presents a range of sensory, physical, emotional and abstract encounters with Bideford Black pigment – a dark, sticky substance found in the North Devon landscape. The exhibition is the culmination of a year of exploring and making – a year in which the artists and film-maker pushed Bideford Black to its physical limits and thought about what the material might mean today. For the first time ever, The Burton has specially commissioned the artworks for Bideford Black: The Next Generation, and many of the works will become a new permanent part of the gallery’s collection. · Sam Treadaway – A scent-based work evoking the prehistoric plant-based origins of Bideford Black. A documentary film – previewing exclusively at the exhibition – captures the nine artists as they experiment with Bideford Black pigment and make their artworks. Made over the course of a year by creative film-maker Liberty Smith, the film offers a unique and beautiful record of these 21st century encounters with Bideford Black pigment. Liberty went to school in North Devon, close to where Bideford Black is found in its raw state.